Dhaka – Ottawa and Dhaka have agreed to find a ways to extradite a self confessed killer of Bangladesh’s independence architect Sheikh Mujibur Rahman, state-run Bangladesh Sangbad Sangstha news agency reported on Saturday. The two sides will continue discussion for extradition of Noor Chowdhury, who has been living in Canada for quite a long year. 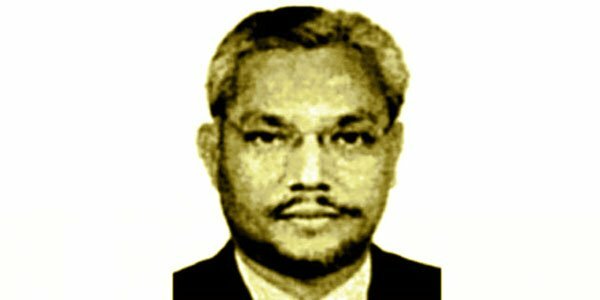 Bangladesh has been asking for Chowdhury’s extradition to face execution as he was sentenced to death by a court in Bangladesh for the 1975 assassination of Mujibur and his family. The news agency reported that the consensus came during a bilateral meeting between Bangladesh Prime Minister Sheikh Hasina and her Canadian counterpart Justin Trudeau at Hyatt Regency Montreal on Friday. Foreign Secretary Md Shahidul Huq and Press Secretary Ihsanul Karim briefed reporters about the meeting. The officials of two countries would sit across the table and find out a way for extradition of Chowdhury from Canada, said Huq. “The aim of the discussion would be to bring Noor Chowdhury to justice and execute the verdict of the Bangabandhu killing case,” he said. The government in different ways was trying to bring back Chowdhury, and the discussion between the officials of the two countries will open up a new door in this regard. While talking about the issue of militancy, he said, the two leaders described the menace as a “global problem” and said it will have to be solved together. The foreign secretary said the Canadian premier highly appreciated Bangladesh’s anti-militancy stance and ongoing movement against militancy and terrorism. The two leaders also discussed issues among others boosting trade and investment and export of garment products. Hasina invited Trudeau to visit Bangladesh and the Canadian premier cordially accepted the invitation, Huq said. The Canadian prime minister said he visited Bangladesh along with his father Pierre Elliott Trudeau, the then premier, at the age of 12. Trudeau told Hasina that he would visit Bangladesh soon as he has some hazy memories about his visit to Bangladesh that took place in 1983.